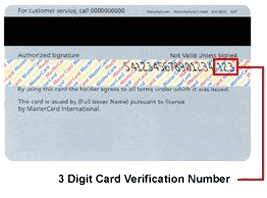 For Visa, MasterCard, and Discover this number is the last 3 digits on back of your card on the signature strip. 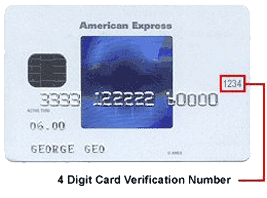 For American Express this number is the 4 digits above the card number at the right on the front of your card. If you have questions about our credit card policies, please call us at 866-998-7826.